In Syria’s capital Damascus, the Assad regime appears sure of its victory, after more than 60% of Syrian territory has been brought back under its control and talks continue with Kurdish groups for an arrangement on the areas east of the Euphrates River. At the international level, however, matters are not going quite as Assad planned. 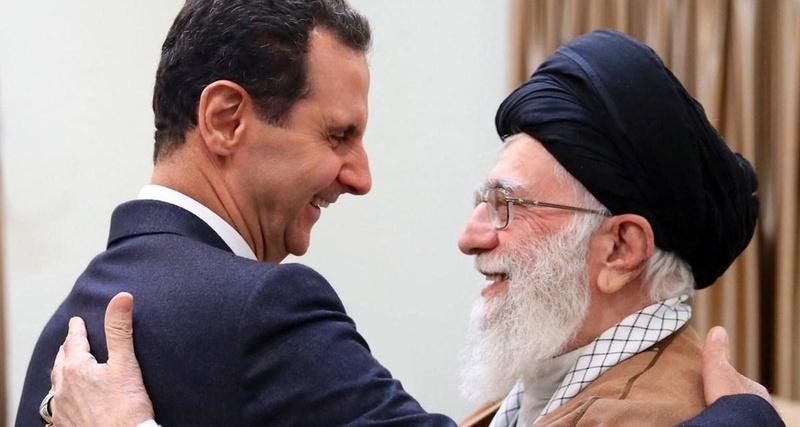 Demands for his removal may have diminished, but the regime is no closer to a genuine rapprochement, nor to the asset it deems far more important: money for reconstruction. So the regime has set to work on one of the most crucial barriers to normalization, the sanctions placed upon it by the US, the EU, and others. In this endeavor, it has found willing supporters on both the left and right of the political spectrum in Germany and other Western democracies. “Just another day,” tweeted far-right Alternative for Germany representative Christian Blex while visiting Damascus in 2018, “but the EU won’t deliver any baby milk, medical supplies, or prosthetics because of sanctions.” Members of Germany’s Left Party and the peace movement also call for the removal of sanctions. Since December, the regime has turned images of long queues of people in Damascus waiting for cooking gas and other essentials, into a campaign for the lifting of the restrictions. But Humanitarian and medical supplies can be delivered, since they are not included in sanctions. The only potentially critical medical substances on the blacklists are those that can also be used to produce chemical weapons, and these are subject to export controls rather than EU sanctions. What is it that causes a myth to stick? And what is the reality of supply shortages in many areas? The misconception that sanctions bring hardship to civilian populations has its roots in the measures imposed on Iraq in the 1990s. Since then, however, sanctions processes have developed and become much more targeted. The clear majority of EU sanctions target members of the regime, and its accomplices, who have played a direct role in human rights violations in Syria. Their assets have been frozen, and they have been banned from traveling to Europe. This was the case with the sanctions adopted in January, which included five companies and eleven businessmen who contributed to, and benefited from, the misery of the country’s population as war profiteers. They have no relation to humanitarian issues. It is precisely for this reason that sanctions trouble the regime — they affect the small circle of its insiders and cronies. Worse still: the Syrian regime knows exactly how to deploy the suffering of civilians as a weapon. Over the years, it has besieged millions of Syrians within confined areas in order to seize control of large stretches of land under the guise of “reconciliation”. Pediatrician Annie Sparrow, alongside a research team at the American University of Beirut, has examined this in detail for The Lancet medical journal. They published an article in which the denounced the regime’s willful and systematic attacks on hospitals and medical personnel, as well as its withholding of humanitarian aid, as “biological warfare through neglect”. Of the aid convoys sent by the United Nations to support those in hard-to-reach or besieged areas, the Syrian regime has let through only a fraction. Only a portion of the convoys admitted made it to their destinations, while the others have been stopped at checkpoints and aid supplies have been illegally siphoned off. This has particularly been the case for medical supplies, where sterile gloves and anesthetics have invariably been removed, as have medications for pneumonia and diarrhea. Even supplies for midwives continue to be taken: in 2015, one convoy alone lost 37 kits, which could have been used to help 1,850 pregnant women. Willful neglect continues in areas reclaimed by the regime, as it does against internally displaced persons. One of the most extreme examples is the Rukban camp near the Jordanian border, in which some people have already died of starvation. Despite the appalling level of provisions in Rukban, IDPs are not willing to pass to regime-held areas through the “refuge passages” opened by Russia, which has led the regime to cut off water and food supplies to the camp, so as to apply greater pressure. These abuses are largely absent from reports on the alleged harm caused by sanctions against Syria. Equally absent is the question of why the regime’s allies do not step in, if the crisis in regime-held areas is so severe. According to the Moscow Times, the Russian Government spent up to $4 million — daily — on the deployment of its military and air force. As for humanitarian aid in 2018, the UN Humanitarian Response Plan noted a contribution from Russia to Syria of just $500,000 for the entire year. Bilateral aid deliveries and Russian funding for UN sub-organizations make up for this extreme mismatch between military and humanitarian spending. Medical emergencies have been pushed to the fore to demand an end to sanctions. But it is Russia and the regime that have destroyed or damaged 60% of Syrian hospitals, and almost 70% of medical personnel have been killed or forced out. In the face of the systematic attacks, it is ridiculous to palm the lack of medical care off onto sanctions. An online search reveals that the blame assigned to sanctions for deteriorating medical care in Syria originates largely from one source: Elizabeth Hoff of the World Health Organization. Hoff’s statements in this regard have met with confusion among diplomats. If any medical provisions were being restricted by sanctions, they could be made exempt, yet concrete examples of such restrictions have not been given at any point. One of the few UN Special Report contributors to whom the regime did permit access is Idriss Jazairy, who then wrote about negative effects of sanctions on the civilian population. Falsely claiming that Syria “provides all citizens with free healthcare,” Jazairy asserted that businesses are hesitant to deliver products to Syria — despite possible humanitarian exemptions — for fear they will go against sanctions. Germany has already addressed the potential issue of excessive caution indirectly causing fewer deliveries: the central Bundesbank has established a special authority for sharing information and accepting requests for exemption. The US Treasury Department has done the same. Import restrictions on medical provisions applied in Syria even before 2011 — but they were regime restrictions. The pharmaceutical industry was one of Syria’s most important, one in which everything was done to promote exports, as well as to seal off the import market. Such measures were already causing shortages in 2009 and 2010. The Syrian regime’s vehement cry against sanctions may also have considerably less to do with EU conditions than with what is potentially coming from the US. The House of Representatives recently approved the Caesar Syria Civilian Protection Act, which explicitly includes punishments for those who help the regime, regardless of whether they are US citizens. If implemented, this Act would hinder Assad’s reconstruction plans, for which he is courting Arab investors. But as the regime rants and rails against “economic warfare”, there is a simple solution for the removal of all these restrictions: ending and taking action against the incalculable human rights violations committed in Syria.